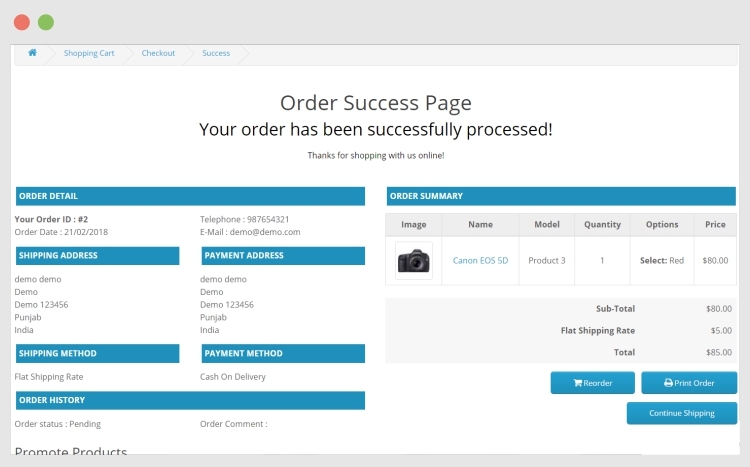 Default Order Success Page is very simple. We tried by this extension to overcome this problem and make your order success page looks good and have all the details related order and other details like payment, shipping, etc. Colors can be manageable from the admin section so that user can able to match the page according to their website.